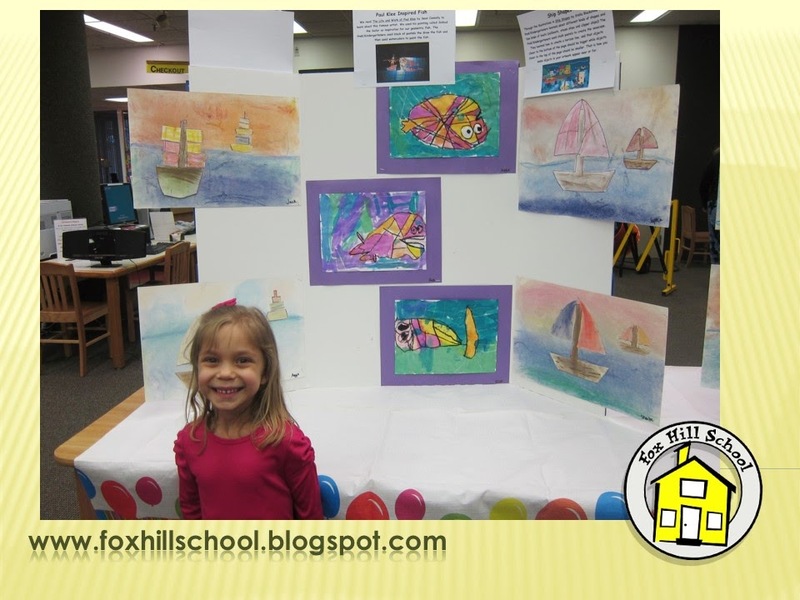 Our 5th Annual Fox Hill School Art Show was absolutely fabulous (if I do say so myself!) 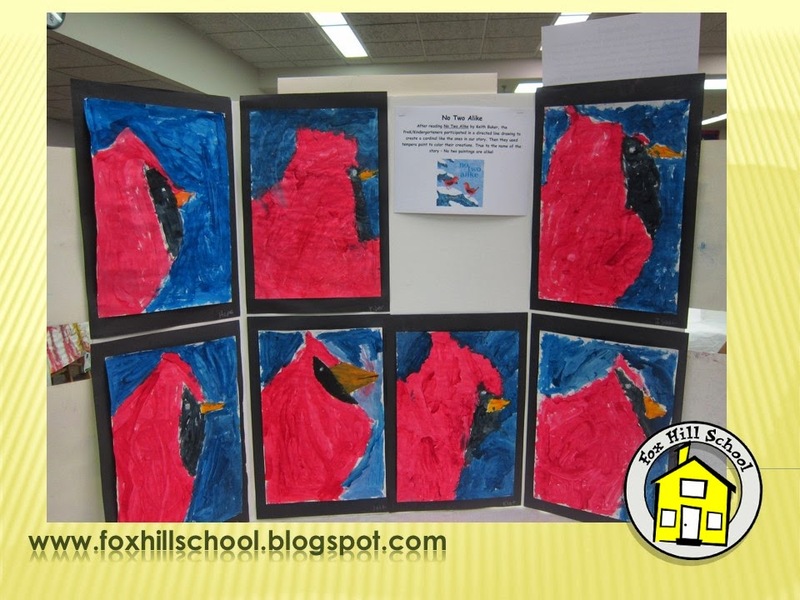 Every child at the Fox Hill School and Fox Hill School Kindergarten who will be "moving up" to Kindergarten or First Grade next year had their artwork displayed in art show. We used one of the artist's easel paintings to make the invitation for the parents. Logistically, we mounted most of the artwork in advance to either foam core display panels or stapled to large pieces of butcher paper. Then when we arrived we just had to place the display panels and hang the butcher paper with the artwork already attached. That significantly cuts down on the set up time, leaving more time for placement of the 3D artwork like clay and paper mache. Parents were allowed to take their children's artwork home directly from the art show. This way we didn't risk damaging their work transporting it back from the show. Kids were excited to bring their work home and it made clean up a snap! 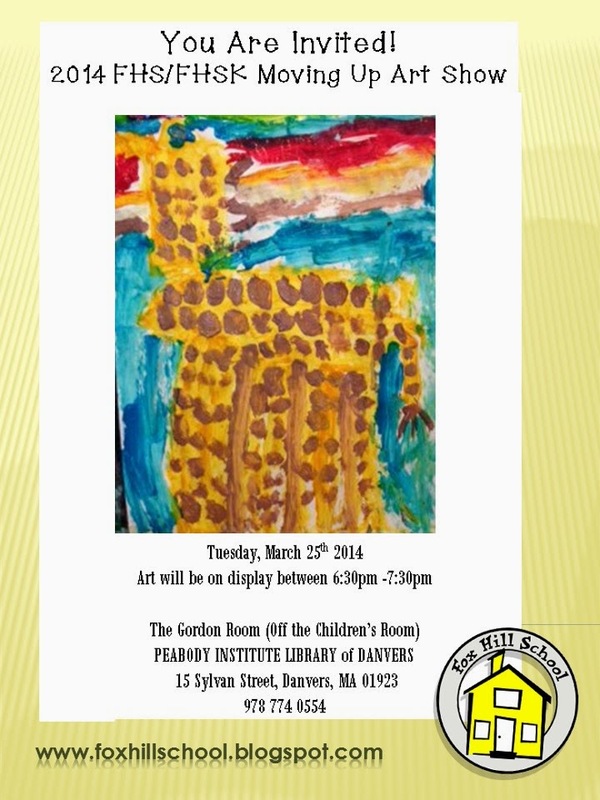 We are very lucky to get to use our local library - Peabody Institute Library in Danvers - as the venue for our art show. Our school is too small to host an event of this size and collaboration with others in our community makes events like these possible! 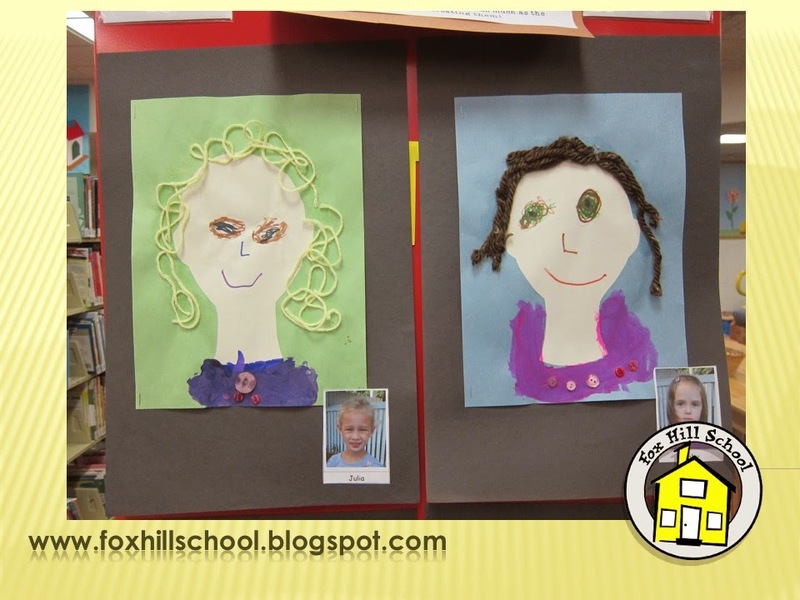 For a quick peek at the amazing work of our PreK and Kindergarten kids, click here or below to see a montage of the Art Show! 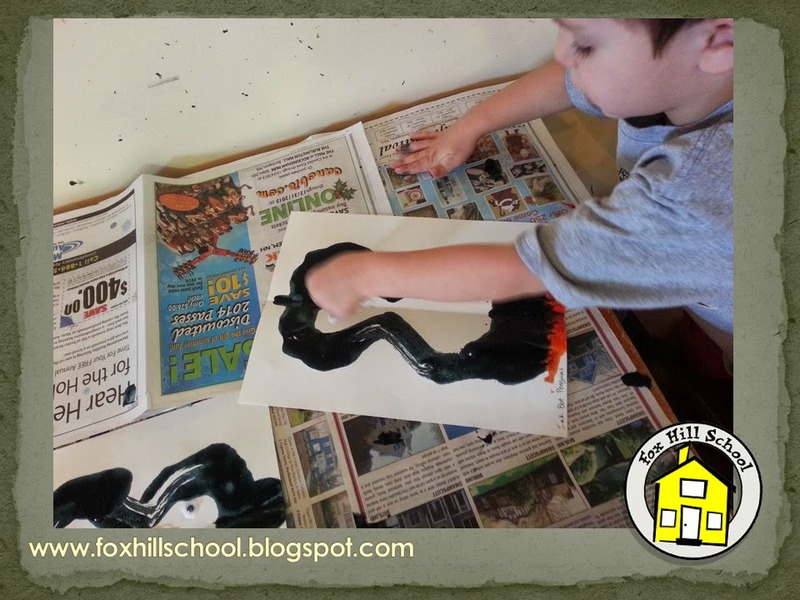 The kids at the Fox Hill School Kindergarten had a chance to create penguins, too! 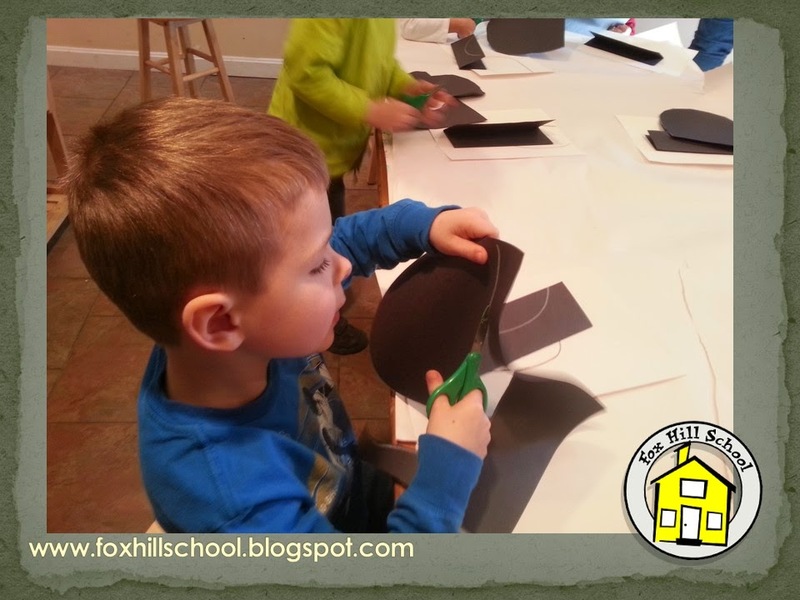 I was inspired by the class I took from Deep Space Sparkle to try this project with the Prek/Kindergartners. She had done it with first graders so I made a few adjustments to the process to meet the Kinders' needs. First they used tempera cake paints and water to paint a colorful, watery background for their penguins. 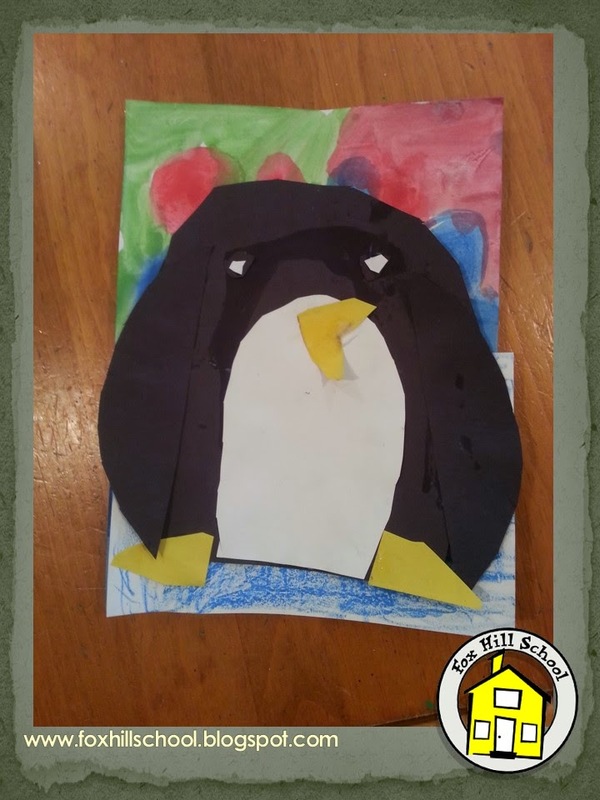 While the background was drying they cut out the pieces of their penguins from construction paper. 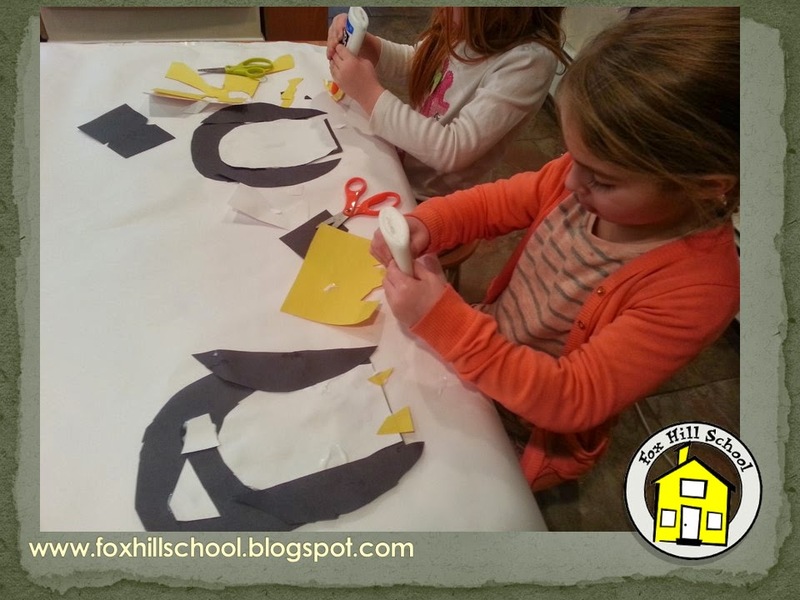 Little ones tend to make very small pieces when left to do it on their own but I wanted them to have lots of practice with the scissors from this activity so I made the shapes for them to cut in advance. Then I had them use oil pastels to create an ice berg for their penguin to stand on. After creating all the pieces it was time to glue them all down onto the beautiful backgrounds. 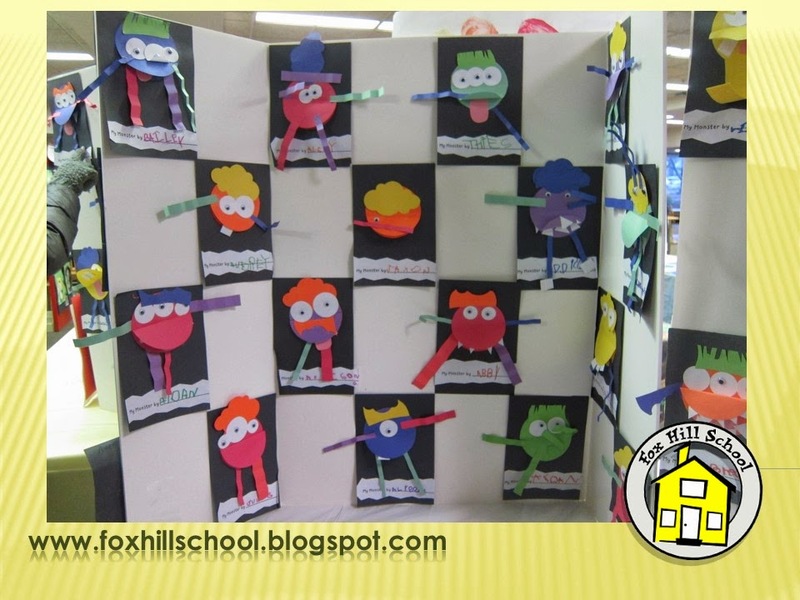 Take a look at their fabulous creations! Definite Art Show material! Check back soon to see all of their other wonderful creations in the Art Show! As part of our Around the World in 80 Tales curriculum we learned about Antarctica. What's the most interesting things about Antarctica to a 3 year old? Penguins of course! 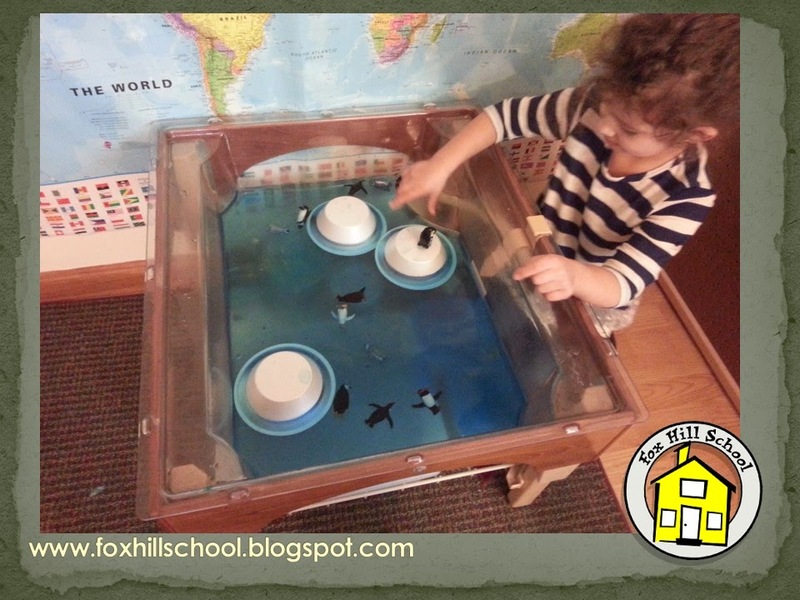 We set up our sensory table with cold water, icebergs (Styrofoam bowls) and plastic penguins. 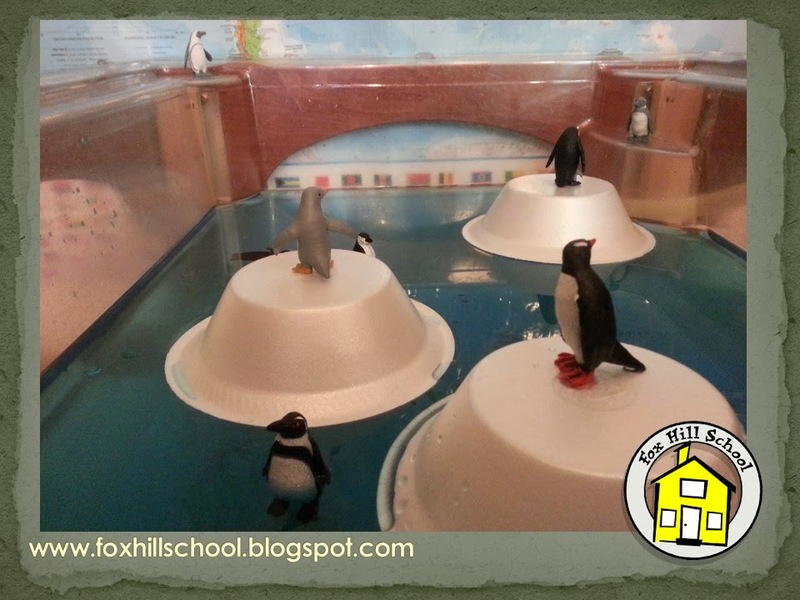 We challenged the kids to see if they could float the penguins on the icebergs and also to see how many penguins it took before the iceberg sunk to the bottom and wouldn't float anymore. 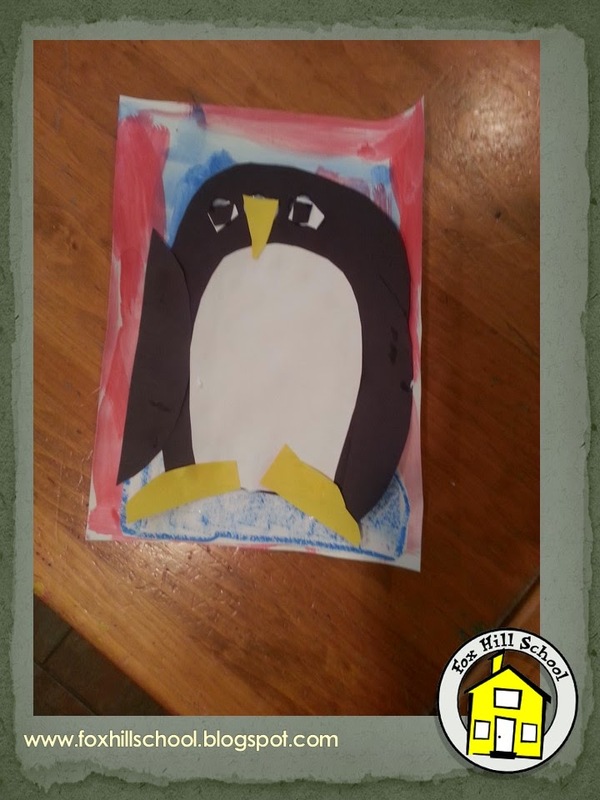 The penguins and the kids had a ball with this activity! 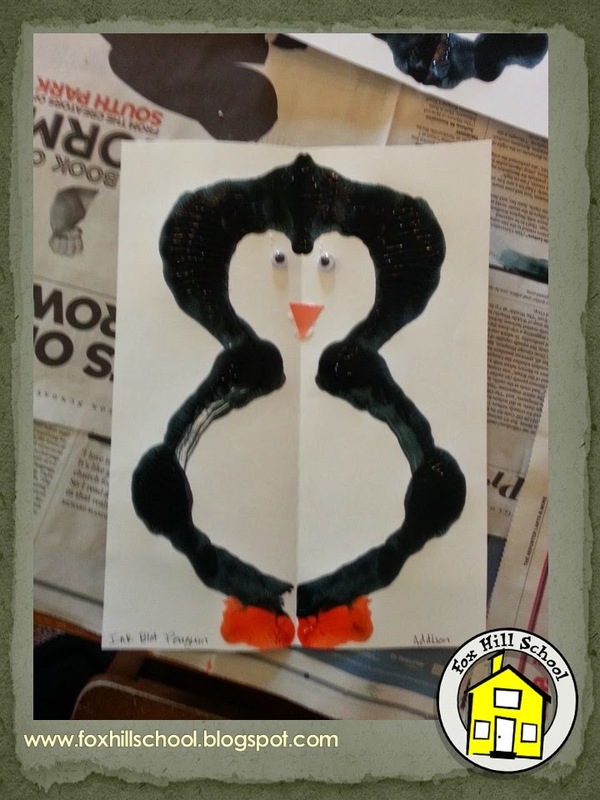 As an art, literacy and math activity we created "B" symmetrical penguins! Our letter of the week was "B" so each child started with a peice of paper folded in half with a letter "B" traced on it in pencil. 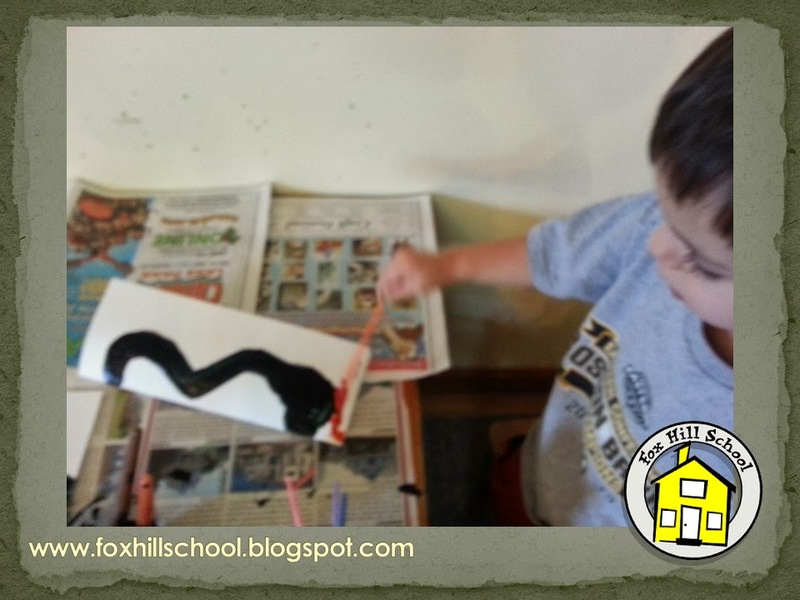 The kids were asked to dob black paint over the pencil line with their paint brushes. They also added a little orange paint at the bottom of the "B" to make feet for their penguins. We explained what symmetry was at morning group and gave them a chance to try it out for themselves! 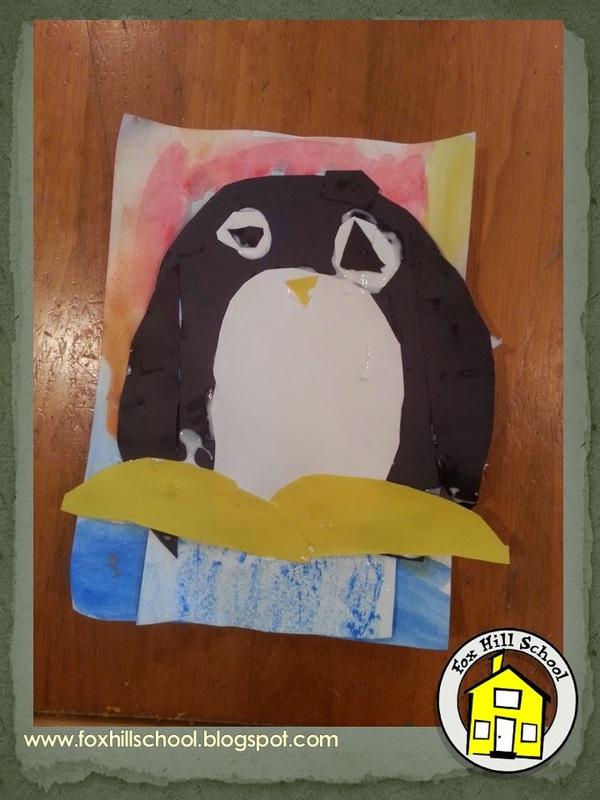 They folded their "B" paper and rubbed it so the paint transferred to the other side which created a symmetrical penguin. Then they glued on some googly eyes and a triangle for a beak and Voila! Symmetrical penguin! Super cute - fun and easy to make! 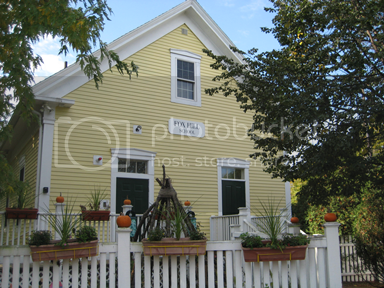 To purchase books we read at the Fox Hill School from Amazon, click on the pictures below!